Gold futures rose on Monday, taking their cue from a weakening dollar even as global stocks appeared set to rebound from their worst weekly rout in two years and as bond yields resumed a steady ascent. April gold GCJ8, +0.55% rose $5.50, or 0.4%, at $1,321.20 an ounce, after finishing last week’s trade with its largest weekly loss in two months, as investors were unsettled by renewed volatility in stocks amid fears about rising bond yields and inflation. 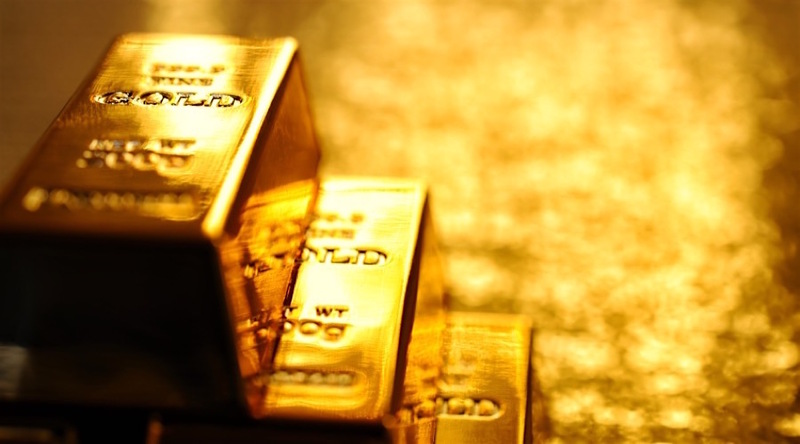 The exchange-traded fund, meanwhile, SPDR Gold Shares appeared poised to rise by 0.3%. March silver SIH8, +1.56% added 23 cents, or 1.4%, to $16.370 an ounce, while the silver-focused iShares Silver Trust was set to advance 0.7%. The advance for precious metals came as the Dow Jones Industrial Average DJIA, +1.38% and the S&P 500 index SPX, +1.49% and the Nasdaq Compoisite Index COMP, +1.44% were on track to post gains for a second straight session as those equity benchmarks looked to recover from their worst weekly losses in about two years. Gold, however, appeared to be tracking moves in the dollar as measured by the ICE U.S. Dollar Index DXY, -0.01% which gauges the greenback against a half-dozen currencies. The popular dollar index was off 0.2%, coming off its best weekly rise since December 2016. Precious metals, which are often pegged to dollars, tend to rise when the buck weakens because a falling dollar can make buying those assets cheaper for those using weaker monetary units. Meanwhile, the 10-year benchmark Treasury yield TMUBMUSD10Y, +0.16% climbed to 2.89% marking a roughly four-year high for the U.S. government bond. Bond price and yields move inversely. Yields have climbed on expectation for increased issuance and rising inflation, which can eat away at a bond’s fixed value. Rising yields, in theory, should detract from appetite for gold because precious metals don’t bear a yield. However, rising inflation could provide a lift for gold over the short term because it is often viewed as a hedge against rising prices. Last week’s disruptions in equities was met with a fairly subdued response in haven assets, with investors theorizing that its signals a less severe pullback in global equity markets. For its part, gold’s ability to remain above the psychologically important $1,300 level is seen as a positive sign.